Breast cancer is the most common female cancer and the leading cause of death in women under 40 years of age . Improved treatments have increased breast cancer survival over the past few decades, but incidence continues to rise . Primary prevention of the disease is required to address this trend and reduce overall burden in the population. Several primary prevention options are available to women, depending on their individual level of risk and personal preference. Adherence to recommended lifestyle behaviors such as limiting alcohol consumption and increasing physical activity remains a primary goal for women at population risk, while surgical intervention is offered to carriers of deleterious mutations in genes such as BRCA1 and BRCA2. However, for women with a moderate family history risk that does not warrant surgical intervention, or for those who decline the offer of surgery, chemoprevention remains an option. Several chemoprevention trials have demonstrated the efficacy of selective estrogen-receptor modulators (SERMs) in preventing breast cancer. A meta-analysis of nine SERM trials demonstrated a 51 % risk reduction in estrogen-receptor positive (ER+) breast cancer, which is a reduction in overall disease burden of at least one third . SERMs were shown to increase the risk of venous thromboembolic events, endometrial cancer and menopausal side-effects. Long-term observation of the International Breast Intervention Study (IBIS) trial demonstrated the preventive effect of tamoxifen lasts at least 20 years, but further follow-up is needed before mortality effects are known . Aromatase Inhibitors (AIs) such as anastrozole  (IBIS 2 trial) and exemestane  (MAP.3 trial) have also been effective at reducing breast cancer incidence among postmenopausal women, and may offer an alternative option for women who cannot tolerate SERMs. However, long-term mortality outcomes will only be available from the IBIS 2 trial, as the MAP.3 trial was unblinded at 35 months. In 2013, the UK National Institute for Health and Care Excellence (NICE) released guidance suggesting women at increased risk of breast cancer should be offered tamoxifen and raloxifene as part of routine clinical care . This follows similar recommendations in 1999 and 2007 from the US FDA to approve the prophylactic use of tamoxifen and raloxifene, respectively. Since these announcements, attention has started to focus on the acceptance of these agents to the population, as well as their continued use over time. The strengths and limitations of SERMs and AIs makes the decision to initiate chemoprevention a challenging process for patients and clinicians alike. A recent meta-analysis of uptake including 21,423 women demonstrated approximately one in six (16.3 %) individuals was willing to initiate breast cancer chemoprevention. Uptake was unaffected by study location or agent, but was significantly higher when patients were invited to enroll on chemoprevention trials (25.2 %) compared with decisions made in routine care (8.7 %). The discrepancy in uptake between trial and clinical settings suggests clinical and health service factors, such as clinician attitudes and prescribing policies, are likely to play a role. The review also noted only one in ten studies monitoring use of preventive therapy over a 5-year period reported 80 % or more women were still using prophylactic medication at this end point. Individual patient factors are also likely to affect whether women start using chemoprevention, as well as the decision to persist with it over the prescribed period. The following will provide an overview of the key factors that may play a role in women’s decision-making regarding breast cancer chemoprevention. Clinicians are likely to influence patient decision-making regarding chemoprevention , but little is known about their attitudes towards the topic. An insufficient number of consultations involve discussions about chemoprevention, with one Australian study demonstrating that a little over half of eligible patients received information about preventive therapy . Our own investigation with family history practitioners, clinical genetics clinicians and general practitioners (GPs) highlighted multiple barriers to implementing the NICE chemoprevention guidelines in clinical care . A major barrier, yet to be addressed, is that tamoxifen and raloxifene are not licenced for primary prevention. 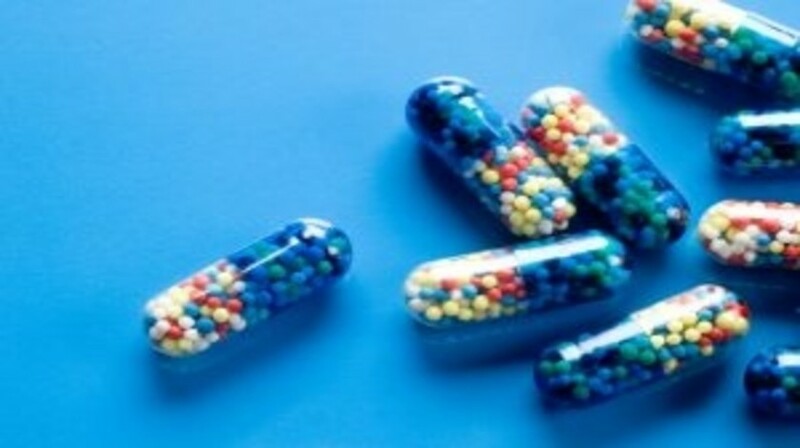 The prescriber must therefore offer the medication ‘off-label’, and although this is common practice in other patient populations (e.g., children), it is not clear the extent to which GPs will be willing to prescribe chemoprevention in this manner. A further barrier to chemoprevention use is the lack of consensus on who should be the primary prescriber. While tamoxifen and raloxifene will be discussed in secondary and tertiary care, not all clinicians working in those setting are trained to prescribe. GPs in primary care take responsibility for the majority of prescribing, but may feel reluctant to do so because they lack knowledge of the drugs for this indication. Developing local and national prescribing protocols for chemoprevention could facilitate the use of tamoxifen and raloxifene for those women who have made the decision to use preventive therapy. Addressing knowledge deficits among clinicians at all levels of care is important to ensure appropriate prescribing. In addition to clinician attitudes towards chemoprevention, women’s acceptability, knowledge and experience with the medications can affect uptake and adherence. Side effects of chemoprevention are commonly suggested to be a barrier to women’s use of preventive therapy. This is supported by several studies identifying lower uptake in women reporting greater concern about side effects [11, 12]. Trials with longer-term follow-up have also noted lower rates of persistence in women assigned to tamoxifen arms compared with women taking both placebo and raloxifene [13, 14]. Despite this, very few studies have explicitly tested the relationship between side-effect experience and adherence to medications. A 2016 study from the NSABP-21 primary prevention trial comparing tamoxifen with placebo reported 84 % of trial participants were adherent at 12 months. However, baseline vasomotor symptoms, 3-month sexual symptoms in younger women, and side effects unrelated to tamoxifen were associated with lower persistence . Establishing the relationship between side effects and adherence outside a trial setting, and developing effective interventions to support women’s continued use of chemoprevention are important goals for future research. While side effects are likely to affect women’s decision-making regarding chemoprevention, it is unlikely to be the only factor. Almost half of the women in the NSABP-P1 and Royal Marsden tamoxifen trials attributed their early drop-out to ‘non-medical factors [16, 17]. In a systematic review of the factors associated with uptake and adherence, there were few consistent patient factors associated with adherence, but interesting data were available regarding medication initiation . In particular, several studies reported lower uptake among women reporting greater levels of negative emotions, such as intrusive thinking , worry , and perceived vulnerabilities to breast cancer . Furthermore, all qualitative studies included in the review noted that risk was an important element of the decision-making process. For example, women were more likely to initiate chemoprevention if they had a higher clinically assessed risk, but also if their perceived susceptibility to breast cancer was high. Decision aids have been tested in both trial and routine care settings, and have been shown to be effective at improving patient choice without reducing uptake levels . Future research is needed to develop, evaluate and implement decision aids that incorporate the wide array of patient factors shown to influence decision-making. Breast cancer chemoprevention is an important option for women at increased risk of the disease, but use of approved medications is low. While this may reflect informed decision-making from women, emerging evidence suggests multiple clinician and health service barriers are contributing to inadequate implementation of chemoprevention in routine care. Addressing clinical, health service and patient factors is likely to be important if chemoprevention is to have the anticipated impact on breast cancer incidence at a population level. Long-term mortality data from the IBIS 1 trial are eagerly anticipated, and if positive, may tip the balance in favor of more widespread use of chemoprevention. Until then, research should continue to develop strategies to promote informed choice, as well as evaluate interventions to support adherence among women initiating chemoprevention. Forouzanfar MH, Foreman KJ, Delossantos AM et al. Breast and cervical cancer in 187 countries between 1980 and 2010: a systematic analysis. Lancet. 378(9801), 1461–1484 (2011). Cuzick J, Sestak I, Bonanni B et al. Selective oestrogen receptor modulators in prevention of breast cancer: an updated meta-analysis of individual participant data. Lancet. 381(9880), 1827–1834 (2013). Cuzick J, Sestak I, Cawthorn S et al. Tamoxifen for prevention of breast cancer: extended long-term follow-up of the IBIS-I breast cancer prevention trial. Lancet Oncol. 16(1), 67–75 (2015). Cuzick J, Sestak I, Forbes JF et al. Anastrozole for prevention of breast cancer in high-risk postmenopausal women (IBIS-II): an international, double-blind, randomised placebo-controlled trial. Lancet. 383(9922), 1041–1048 (2014). Goss PE, Ingle JN, Alés-Martínez JE et al. Exemestane for breast cancer prevention in postmenopausal women. N Engl J Med. 364(25), 2381–2391 (2011). National Institute for Health and Care Excellence. Familial breast cancer; 2013. guidance.nice.org.uk/cg164. Kaplan CP, Haas JS, Pérez-Stable EJ, Des Jarlais G, Gregorich SE. Factors affecting breast cancer risk reduction practices among California physicians. Prev Med. 41(1), 7–15 (2005). Butow PN, Lobb EA. Analyzing the process and content of genetic counseling in familial breast cancer consultations. J Genet Couns. 13(5), 403–424 (2004). Smith SG, Side L, Meisel SF, Horne R, Cuzick J, Wardle J. Clinician-reported barriers to implementing breast cancer chemoprevention in the UK: A qualitative investigation. Under review. Bober SL, Hoke LA, Duda RB, Regan MM, Tung NM. Decision-making about tamoxifen in women at high risk for breast cancer: clinical and psychological Factors. J Clin Oncol. 22(24), 4951–4957 (2004). Yeomans-Kinney A, Richards C, Vernon SW, Vogel VG. The effect of physician recommendation on enrollment in the breast cancer chemoprevention trial. Prev Med. 27(5), 713–719 (1998). Land SR, Cronin WM, Wickerham DL et al. Cigarette smoking, obesity, physical activity, and alcohol use as predictors of chemoprevention adherence in the National Surgical Adjuvant Breast and Bowel Project P-1 Breast Cancer Prevention Trial. Cancer Prev Res. 4(9), 1393–1400 (2011). Land SR, Wickerham D, Costantino JP et al. Patient-reported symptoms and quality of life during treatment with tamoxifen or raloxifene for breast cancer prevention: The NSABP study of tamoxifen and raloxifene (STAR) P-2 trial. JAMA. 295(23), 2742–2751 (2006). Land SR, Walcott FL, Liu Q, Wickerham DL, Costantino JP, Ganz PA. Symptoms and QOL as predictors of chemoprevention adherence in NRG Oncology/NSABP Trial P-1. J Natl Cancer Inst. doi: 10.1093/jnci/djv365 (2016). Day R, Ganz PA, Costantino JP, Cronin WM, Wickerham DL, Fisher B. Health-related quality of life and tamoxifen in breast cancer prevention: a report from the National Surgical Adjuvant Breast and Bowel Project P-1 Study. J Clin Oncol. 17(9), 2659–2659 (1999). Powles T, Eeles R, Ashley S et al. Interim analysis of the incidence of breast cancer in the Royal Marsden Hospital tamoxifen randomised chemoprevention trial. Lancet. 352(9122), 98–101 (1998). Smith SG, Sestak I, Forster A et al. Factors affecting uptake and adherence to breast cancer chemoprevention: a systematic review and meta-analysis. Ann Oncol. doi: 10.1093/annonc/mdv590 (2015). Rondanina G, Puntoni M, Severi G et al. Psychological and clinical factors implicated in decision making about a trial of low-dose tamoxifen in hormone replacement therapy users. J Clin Oncol. 26(9), 1537–1543 (2008). Juraskova I, Butow P, Bonner C et al. Improving decision making about clinical trial participation – a randomised controlled trial of a decision aid for women considering participation in the IBIS-II breast cancer prevention trial. Br J Cancer. 111(1), 1–7 (2014). Dr Smith is a Cancer Research UK Postdoctoral Fellow based at the Wolfson Institute of Preventive Medicine, Queen Mary University of London. He completed his PhD in Psychology under the supervision of Professor Jane Wardle and Dr Christian von Wagner at the Health Behaviour Research Centre, University College London. He was awarded a postdoctoral fellowship within the Division of General Internal Medicine, Northwestern University (Chicago, IL) in 2013. He research interests include applying behavioral science to the problems of cancer prevention and control. This has included understanding the socioeconomic gradient in colorectal cancer screening uptake, adherence to cancer preventive lifestyle behaviors and decision-making in the context of breast cancer chemoprevention. He has published over 40 manuscripts in peer-reviewed journals including The Lancet, Annals of Oncology and Clinical Gastroenterology & Hepatology. Dr Smith is supported by a Cancer Research UK Postdoctoral Fellowship (C42785/A17965). He declares no conflict of interest.